Blimunda, the protagonist of José Saramago’s “Memorial of the Convent”, had the magical property of seeing inside people. Saramago constructs here the metaphor of the ‘society of transparency’ that will emerge years later and which has become a reality in only one direction. Our intimacy is almost entirely accessible to the Other, but this Other continues to be as opaque as ever, remaining hidden in the eternal shadows in which it knows how to take shelter. The ‘society of transparency’ now begins to take on a new meaning that transcends the fact that we are scrutinised from all sides. 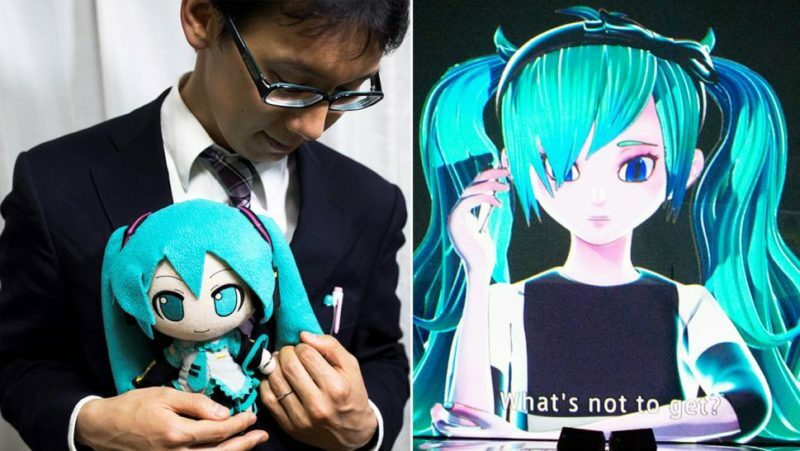 At the beginning of November Mr. Akihiko Kondo married Hatsume Miku, a hologram that uses an electronic voice to sing and give concerts. Despite the fact that the wedding cost some 18 000 dollars, Mr. Kondo was not able to convince his mother or any of the members of his family to attend the ceremony. Interviewed by the press, he explained that ever since adolescence he had experienced an aversion to women but had always been in love with Hatsune Miku because she possessed qualities that no real woman could offer him. His love has been very well received by the OS (“objectum sexuality”) community created by Erika Eiffel, a woman from San Francisco who married the famous tower, subsequently taking on its name. It is worth having a look at the website http://www.objectum-sexuality.org/ where it is explained with extraordinary simplicity and rigour that any object can be loved, given that love and desire constitute complex dynamics that are not subject to fixed or universal laws. The inaugural essay of the webpage is astonishing, even distinguishing with great subtlety love for inanimate objects from fetishism. Even though it does not make use of the concept of the object a or of Winnicott’s transitional object, the anonymous author of this text knows very well what they are talking about and even has no qualms about admitting that many adepts of OS can be psychotic or autistic. This does not situate them in any special category, given that strictly speaking no kind of love answers to a norm but rather all of them have some kind of madness. Equivocation used by J. Lacan between “variété” (variety) and “verité” (truth).